That's one more star than we'd give this review. 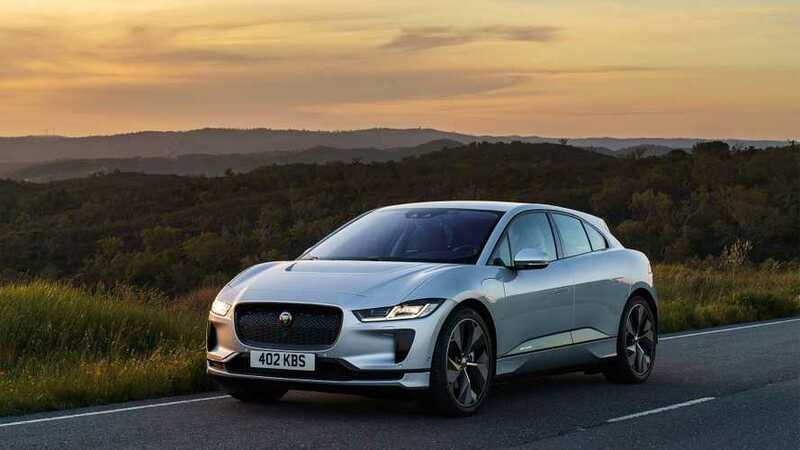 Most reviews of the 2019 Jaguar I-Pace have been pretty positive. During its big press event last June, which had auto journos the world over spending a couple days in Portugal — including InsideEVs — the Big Cat was unleashed off-road, on race tracks, and typical public byways. It seemed to handle all with great aplomb. So, we were kind of surprised to see the all-electric crossover SUV only receive 2 of 4 possible stars from a reviewer at the Detroit Free Press. With its ability to climb like a billy goat, accelerate like a cheetah, and swaddle its passengers in leather-wrapped luxury, what, we wondered, was behind this dramatic departure in tone. What could possibly be so bad about this premium vehicle that the reviewer wanted to "crash it into a wall?" Well, it all comes down to the user interface (UI), it seems. To begin with, the vehicle reviewed, a fully-loaded $85,900 First Edition didn't have Apple CarPlay and Android Auto — something that the automaker says will come standard when it starts leaving showrooms (something that already seems to be happening). This sin of omission was then topped by a frustrating experience with the auto's voice recognition. The other UI crime relates to the I-Pace's beautiful-looking but fidgety temperature controls. This is something we also experienced some trouble with during our time behind the wheel (look in the "Faults" section of our review). The two mini-screen dials, one for the front passenger and one for the driver, are simply turned to increase or decrease the temperature. Push slightly and twist and the seat heat increases or decreases; pulling lightly and turning causes the fan to change speed. The reviewer, who felt they had to take their eyes off the road to properly finesse them, found this unacceptable.